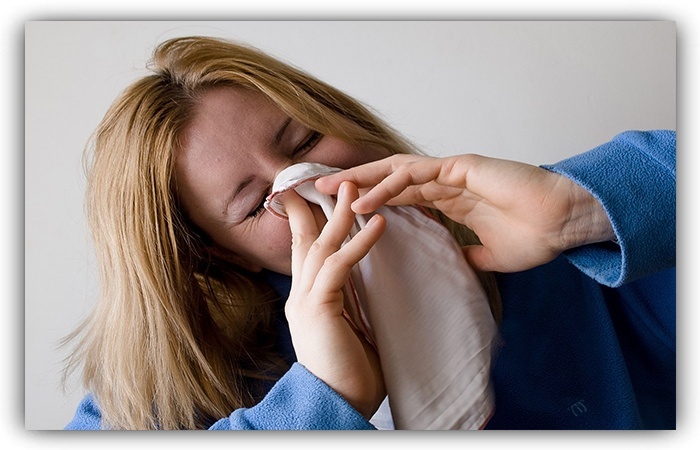 Home Which Sinusitis Treatment Options are the Best? Ep. 18: Which Sinusitis Treatment Options are the Best? My previous posts have introduced you to the sinus cavities , discussed tests to help diagnose sinus infections and highlighted dangerous complications of sinusitis. Today’s episode of the Dr. Momma Says Podcast allows me to share information to help you understand sinusitis treatment options. This can be confusing for people since the treatment may change based on how long the symptoms have been present as well as if another underlying problem is present. It is also important to remember that sinus infections start when the nose functions are not working properly. Specifically, understanding that allergies are present or realizing you have one of the “surprising” symptoms of allergies allows you to begin treatment sooner. Therefore, you can treat allergies better by identifying and preventing the underlying causes. Acute sinusitis treatment usually is the most simple because the symptoms have been present for less than 3 months. However, if the sinusitis episodes are recurrent, or become chronic (lasting more than 3 months), a wider range of treatment options should be considered. There is a huge difference in the antibiotic not working compared to the symptoms coming back after antibiotics are stopped. My LEAST favorite choice to treat most nasal symptoms! Get some rest and allow your body to heal! Thank you for this post – it couldn’t have come at a better time. I have been having some sinus issues, and am getting ready for a long flight, so I appreciate these options! Great info! I’m sure I’m going to need this soon with my kids catching every cold in sight. Thanks for sharing your experiences in this article. I am very lucky and have not suffered anything too serious in respect to my Nose and Sinuses. I find that if I feel like I am coming down with something, that if I just get a few early nights and drink some warm water with lemon in it, everything clears up. Wow. Sinus infections are nasty little buggers. I thought I had a killer infection and I finally realized I was allergic to the mussel powder supplement I was giving me dog! Wow, I suffer from similar stuff and honestly I totally agree with the importance of water and rest above all. You really know your stuff and I’ve got to thank you for writing about this! Wow, what an interesting read with lots of great tips! I would share this post to my friends to let them know about the sinusitis treatment options as well. Thank you for sharing this! I’ve heard about sinusitis although I didn’t put much thought into it. Anyway, since I have a cold allergy and have my nostrils blocked, some tips can be helpful, especially using a facial steamer and having a warm wet towel across my face. I don’t know about Nasal spray’s now, but a few years back they weren’t that great. My step-dad used them and they caused some major damage to his sinus cavities. I suppose it also depends on the person, on which treatments are best for them and their own personal needs. Used to take a lot of anithistamines, which is probably the reason why I have PCOS. Then of course, there is nasal spray. But thankfully, it seems that my sinuses have become better that I am in my 40s. I think it’s probably because I eat proper food now so I have better nutrition. I didn’t realize how many different treatment methods there were! I found nasal spray the best alternative. This is a a lot of good information for the upcoming cold season. I got to try the warm wet towel trick next time I’m suffering from a sinusitis. Thanks for sharing such a detailed list of options for sinusitis. My nephews are constantly sick with flu, leading to chest congestion. I will share the list with my brother for his awareness.